For now I wanted to share a quick and easy card I created for the latest Tiddly Inks Challenge - BFF. I used a rubber stamp from the set called Bloom Beautifully. I added a simple sentiment, then used my watercolors to create the background and add a touch of color to the stamped image. I finished off the simple look with a doodled border around the edge. Simple for sure, but I like the whimsical look! 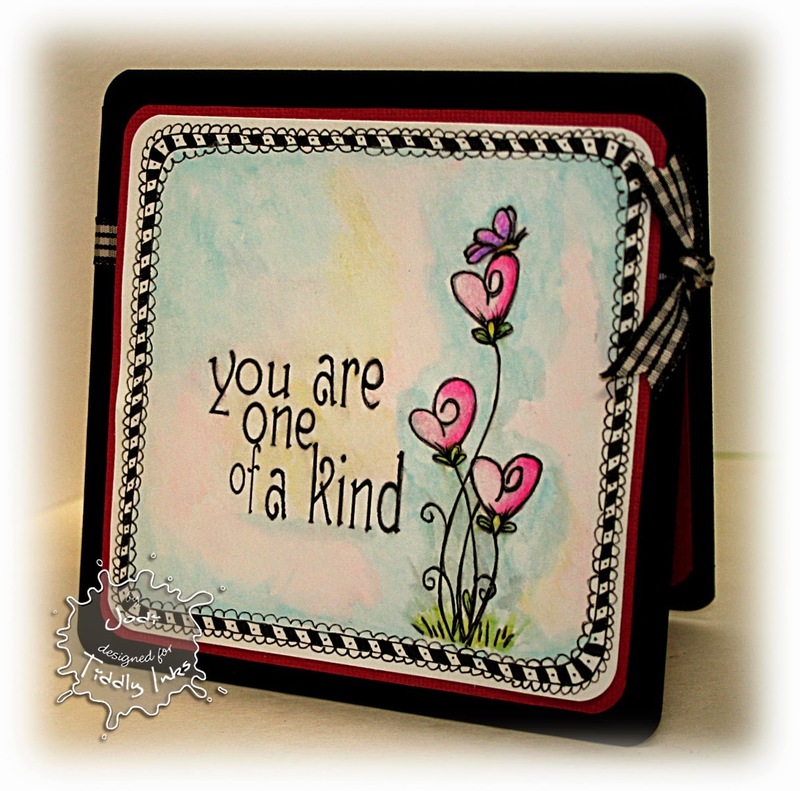 This is just beautiful Jodi, I love the watercolor background and sweet floral stamp. Oh, and beautiful border too. Sending you all the mojo I have! <3 (which is sort of ironic, because you're my mojo). Great image and the background really makes the image stand out more. Love everything about this card. Thanks for joining us at Paper Makeup for our ATG challenge. Quick and easy is always good:) This is a very nice card. Thanks for joining Love to Scrap this time around. This is such a cute card!! Love the layout and the doodle border really makes the design. Also like the watercolored background. Thanks for sharing your project with us at The Love to Scrap Challenge!!!! Your cards are beautiful! I especially love the beary sweet panda card you entered in a contest. Do you sell any of your cards? hope you're going to feel better soon and share more of your fantastic projects! !